The point is which excursion to choose. This is what I will be talking to you about today: all the available options you have to visit Mount Teide by Cable Car during your stay in Tenerife. So, if you have any of these questions in mind, then this article is for you: Does the Cable Car only function during the day? Can I only get there by car? If I don’t have a car, can I go on the excursions? 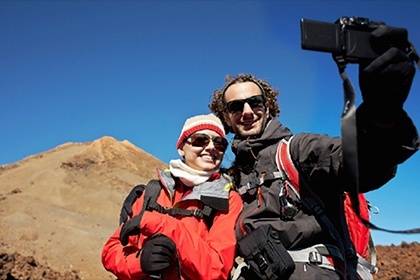 Do the Teide excursions only involve going up in the cable car or are there various other activities I can do in the National Park so I don’t miss out on anything? Now I’m going to tell you about the different options we have prepared, both day and night, which is a combination of the best things to do on Teide with the Cable Car ride included. You can go up to an altitude of 3,555 m (11,663 ft) between 9.00am and 5.00pm on your own by booking our tickets only: return tickets or a one-way ticket (ascend or descend). In addition, twice a week and for a small extra cost, you can book to go up with a guide who will accompany you along the trail to the Pico Viejo viewpoint. If you prefer to go in the Cable Car outside its normal operating hours and explore the volcano while the sun sets with fewer visitors, you can do this too, and if you want to go on the astronomical observation tour, you can also do this. Our excursions are not the typical ones where you get on a bus with 50 other people. For us, you are of the most importance. This is why our excursions are for a maximum of 15 people. By limiting numbers in the transport service, we reduce the time spent in pick-ups and ensure you have a guide who is attentive to your needs. Why is it worth combining the Cable Car ride with stargazing? Watch the sunset at 3,555 m (11,663 ft) and enjoy the spectacular views of Pico Viejo, with a crater of 800 m (2,624 ft) in diameter at your feet; some of the neighbouring islands on the horizon and the volcano shadowing the island of Gran Canaria. This is without doubt a once in a lifetime experience. Now add to that a sky full of twinkling stars embracing you in the enormity of the night. Because the sky above Teide has a Starlight certification. This means that it complies with The Sky Law and the system established to protect the quality of the sky and its natural and cultural heritage. Because the highest points of Tenerife are isolated from urban areas and light pollution. Because from Teide it is possible to see 83 of the 88 constellations that the starry sky presents us. 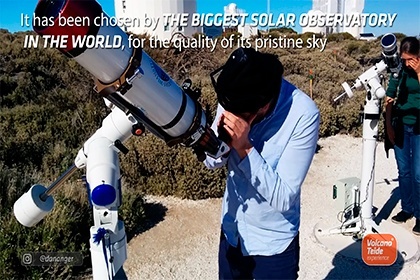 Because astronomical observation is not affected by the sea of clouds, as most of the Teide National Park is at 2,000 m (6,561 ft), above the thermal inversion of the trade winds. Because our guides will tell you absolutely everything there is to know about stars. 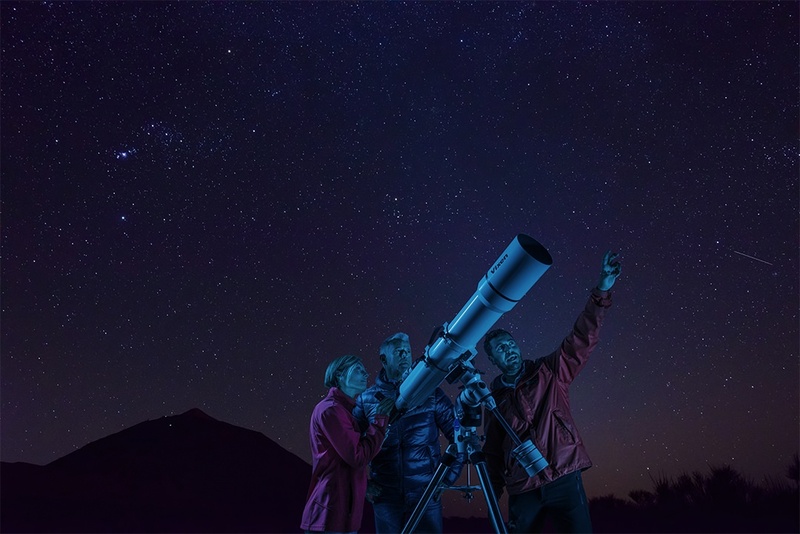 Because you will be able to see the stars through our long range telescopes. As you can see, there are other ways of enjoying a Cable Car ride and exploring the third largest volcano in the world, measured from its base on the ocean floor, than just buying the standard ticket. For this reason, I think the best way for you to decide how to make the most of the Cable Car ride to the top of the highest peak in Spain and turn your visit into a memorable experience, is taking a look at the comparative table of activities we have prepared for you. P.S. 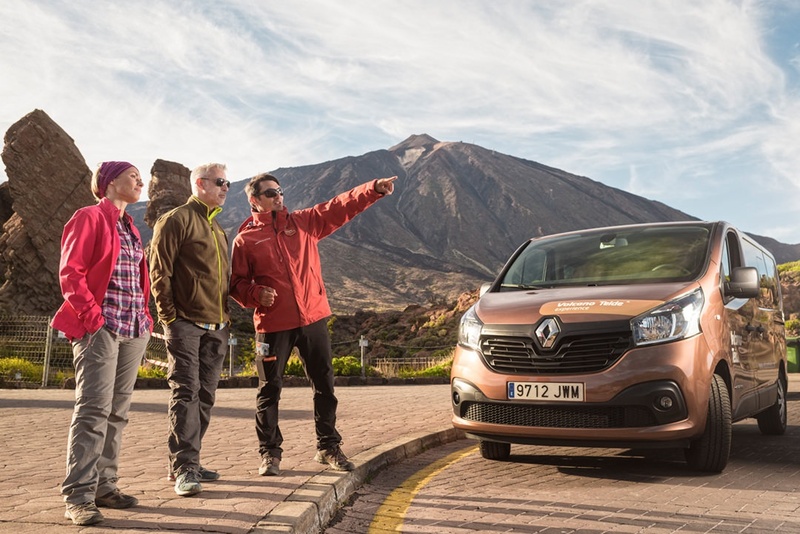 If you want to find out which are the roads that lead to Teide and what to do along the way, take a look at how to get to Teide by car and what to do en route. It includes an interactive infographic making your reading more entertaining!